Kate Sumners is accepting new portrait commissions. 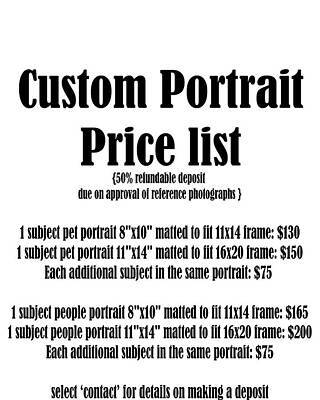 Portraits start at $130 for pets and $165 for people. Click on the price list for details.